Steven Kaye of Paper Craft Interiors, Inc. has had the pleasure of installing wallpaper, fabrics, and murals for residential and commercial clients throughout the Chicagoland area since 1977. During this time, numerous decorating trends have come and gone. Yet, the one thing that has remained is our commitment to providing the highest quality craftsmanship with the utmost attention to detail, along with the finest customer service. Wallpaper continues to be an important part of home decorating. 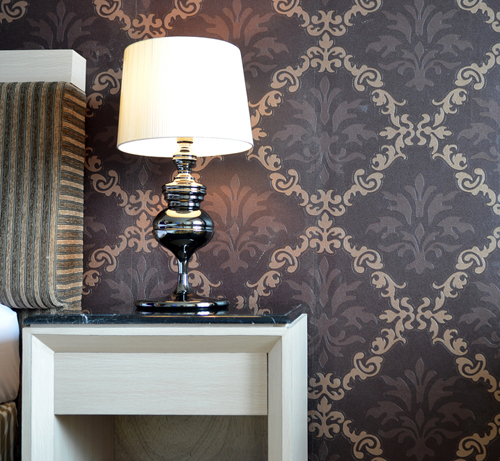 A well-chosen wallcovering can add pattern and scale to a room, as well as provide a backdrop for your furnishings, in a manner that paint alone cannot. Our services include paper hanging, wallpaper removal (stripping), wall repair and the associated preparation for the installation of wallpaper, wall fabrics, and hand printed or digital murals. We welcome inquiries from homeowners, general contractors, residential builders and interior designers. Learn about the latest wall covering options and find the perfect design to transform your walls. Paper Craft Interiors, Inc. respects your privacy. Your personal information will never be sold, shared or otherwise distributed to any outside party.